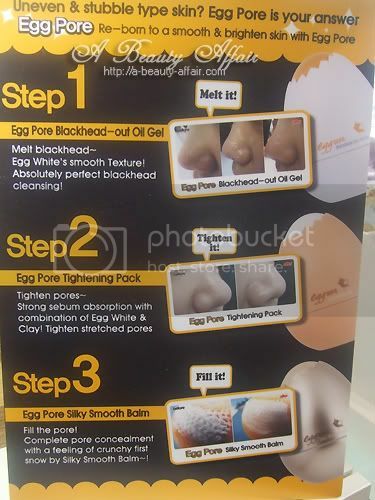 The Eggpore Tightening Pack (Step 2) is a clay mask that is to be used after the Eggpore Blackhead Out Oil Gel (Step 1). It contains egg white and Camellias extracts which willl help in tightening pores while keratin provides a whitening effect and keeps the nose looking clean and smooth. The clay mask is not aesthetically appealing but thankfully, it did not have any strong unpleasant scent which I was worried about. In fact, the scent is pretty faint and the texture was just right. Application was pretty much hassle-free and the remaining clay mask on my fingers were easily washed off. 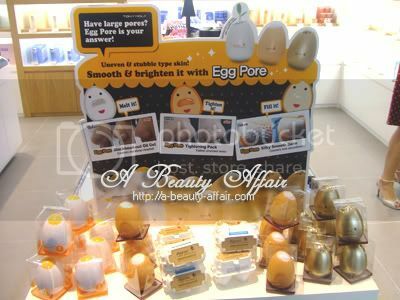 You are recommended to use this twice a week and after using the Tony Moly Eggpore Blackhead Out Oil Gel. 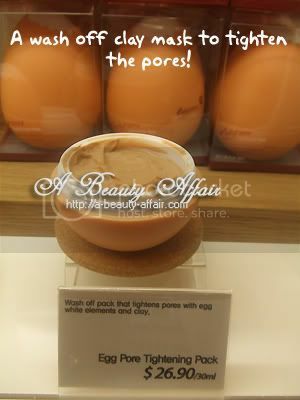 However, in my personal opinion, if you are not intending to get the entire Eggpore range, you may just use this clay mask on its own after your usual scrub/exfoliator. I left it on for approximately 10-15 minutes before rinsing off. The mask dried up quite quickly but did not leave any uncomfortable, tightening feeling as what some clay masks would when it dries up completely. Upon rinsing off, some of my blackheads were also removed but the rest are still there. However, like the Eggpore Blackhead Out Oil Gel, it seems to loosens the other blackheads and I could extract them with much ease. 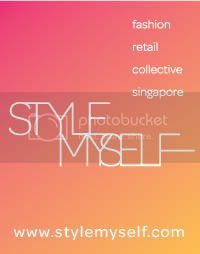 hi.. i want ask u.silky smooth Balm must wear after wash egg tightening pack or how..